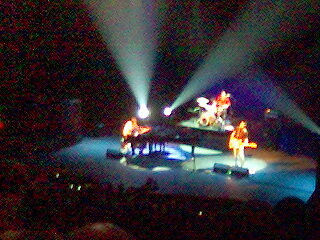 That’s Ben Folds down there somewhere at the piano. Alice and I saw him tonight at the Hammersmith Apollo. He’s a genius … what more can I say? Other than go see him, and buy his latest CD, Songs For Silverman.